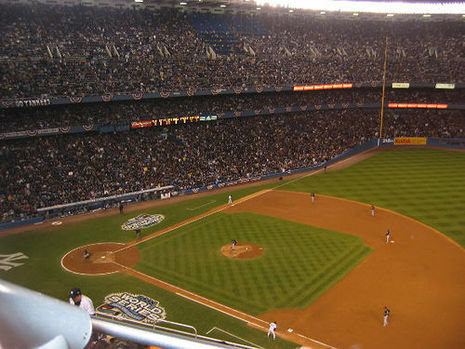 2003 World Series The biggest story of the 2003 World Series may not have been the actual Fall Classic, but more so the dramatic pennant race that led up to the Series itself. After years of less-than-stellar ratings, record audiences finally tuned in to the Major League Baseball postseason, making it the most-watched playoffs ever on cable. Fans also flocked to the ballparks setting a new attendance mark with over 1,858,979 tickets sold. 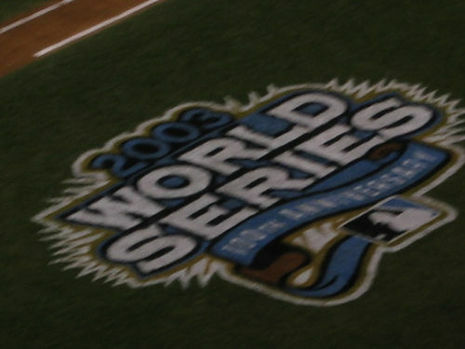 Many attributed this renewed interest to the playoff's storybook backdrop that featured two of baseball's most beloved underdogs, the Boston Red Sox and Chicago Cubs. Both teams had surprised the experts by making the post season and each continued to shock their opponents by battling back in their respective leagues time and time again. After surviving the Divisional round, generations of long-suffering fans from both ball clubs reveled in the possibility that the curse of both "The Bambino" and "The Goat" was finally coming to an end. The baseball god's apparently had other plans and both teams fell just five heartbreaking outs short of making it to the Series. NEW YORK -- It took Josh Beckett no time at all to prove his manager right. Pitching on three days' rest, it took Beckett 107 pitches to quiet the naysayers, carry the Marlins to a World Series title and garner Most Valuable Player honors for his effort. Beckett threw the first complete-game shutout in a deciding World Series game in 12 years, beating the New York Yankees, 2-0, to send the home team to its first postseason series loss at Yankee Stadium in 22 years. NEW YORK -- Josh Beckett was supposed to be tired, or intimidated, or overwhelmed. The 23-year-old pitcher with 18 career victories in the major leagues started Game 6 of the World Series on three days' rest, in Yankee Stadium, and turned out to be a complete mismatch -- for Beckett. 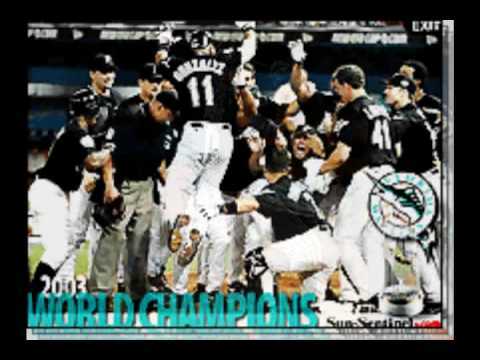 He shut out the Yankees on five hits, 2-0, completing the Florida Marlins' improbable small-budget journey for a championship against baseball's richest franchise. With two outs in the bottom of the ninth inning, the Yankees' Jorge Posada chopped at Beckett's 107th pitch and hit a grounder along the first-base line, and Beckett reached down, gloved the ball and tagged Posada as he passed, before throwing his arms into the air.